THERE ARE PLENTY of monitors that are aimed at the everyday consumer, but not many are designed for businesses. AOC has a strong presence in the business industry and is renowned for tailoring its products for that market. The company’s latest iteration is the X24P1, a monitor that runs at an aspect ratio of 16:10, a step up from more common 16:9 monitors. 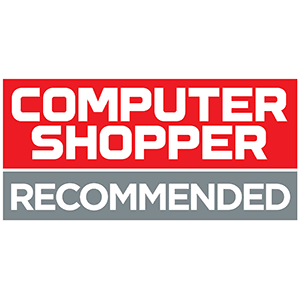 Read our AOC X24P1 Review. If you’re an office worker, particularly if you work with spreadsheets, you’ll find that the squarer display of a 16:10 monitor can result in better productivity, simply because you can fit more windows or spreadsheet cells on a page without having to click or scroll between them. The X24P1 is beautifully designed. Starting from the front of the monitor, you’ll find five front-facing physical buttons; the positioning and the choice of physical controls is fantastic. 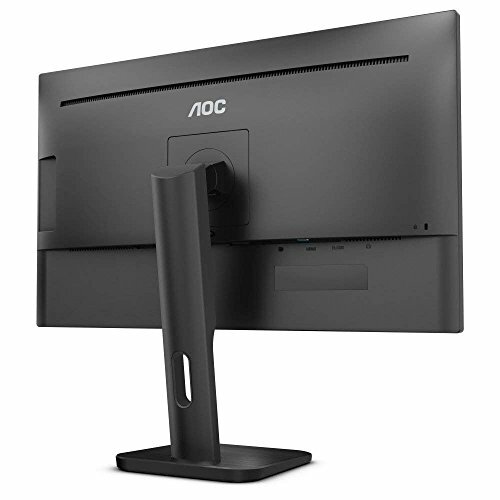 Often, you’ll find monitors have downward-facing buttons or touch-sensitive ones, but here AOC has decided to go against popular trends, with satisfying results. If you’re going to be switching inputs, using the onscreen display (OSD) or even switching off the monitor, you’ll appreciate the gesture. Moving on to the bezels, we found the three-sided borderless design ideal for a workplace environment. It might be a seemingly small point to make, but if you’re looking to maximise desk space, every little helps. The monitor’s stand is sturdy and provides a 90° pivot. The hard plastic stand allows you to swivel (-175/+175°), tilt (-5°/+35°), and offers 150mm height adjustment, too. Most monitors have around 120mm of wiggle room, and with that extra 30mm, taller users will be better able to set up their desk in a comfortable fashion. If you’d prefer to mount the monitor or have it as part of a multi-monitor setup, the X24P1 is also 100x100mm VESA-compatible. 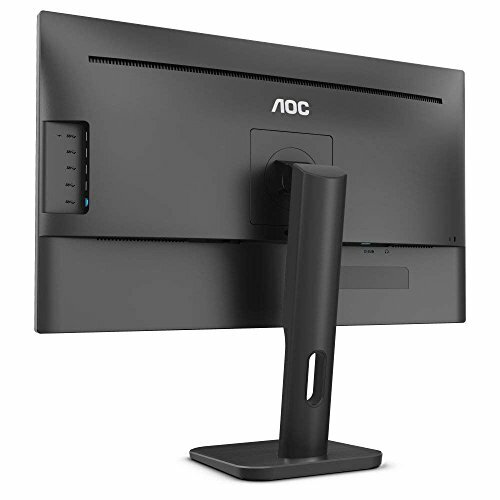 As for connectivity, the AOC monitor has HDMI 1.4, VGA, DVI and DisplayPort 1.2 inputs, so you won’t struggle to use it with legacy equipment. 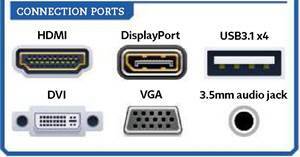 Handily, there are four USB3.1 ports on the right-hand edge of the monitor as well. One of these ports has fast-charging capabilities, which is useful for smartphone charging, though at around 1.5A it won’t be quicker than most modern wall chargers. The X24P1 features two 2W speakers; they’re decent enough for Windows notifications, but we wouldn’t advise using them for music playback. There’s a 3.5mm headphone output jack, too. On a more negative note, there’s no webcam to be seen. We’d have liked an integrated webcam, as with more and more businesses supporting flexible and remote working, videoconferencing is now more popular than ever before. 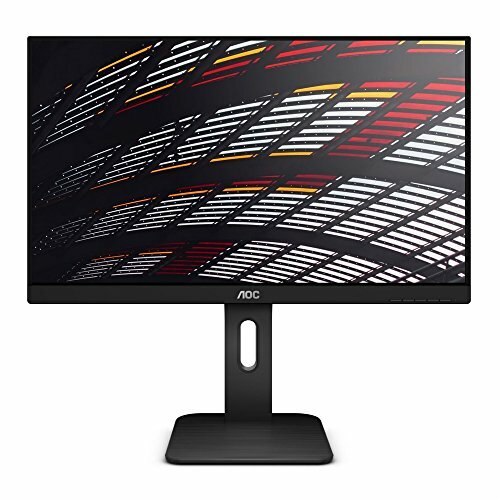 The AOC X24P1 uses a 24in IPS panel, which runs at a resolution of 1,920×1,200 with a 60Hz refresh rate. Through the monitor’s OSD, you can set it to the pre-calibrated sRGB colour profile. Tested with an i1 DisplayPro calibrator, the X24P1 achieved a near-perfect 98.7% sRGB gamut coverage and also managed 73% of the Adobe RGB and 77.1% of the DCI P3 gamuts. Colour accuracy on the whole is commendable, with an average delta-E of 1.69 and maximum of 4.9, meaning the monitor can be used for light photo editing and video grading. That said, to the naked eye we found the monitor a touch warm, and our calibrator seemed to have picked up on it, too. Moving on to the contrast ratio, at 1,241:1 this monitor will be able to showcase dark scenes and the brightest whites. With a maximum brightness of 359 cd/m2, the X24P1 can be easily seen under bright ambient light conditions. 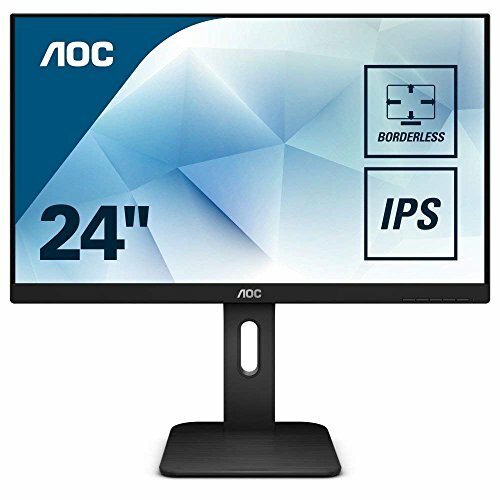 Overall, this AOC monitor is a pleasure to look at, and with an IPS panel you won’t have any problems with viewing angles. However, it does struggle with brightness uniformity. With up to -10.42% off the centre-weighed target, we found the monitor a tad disappointing in this department. example, you might notice a small variance at the bottom edge of the monitor. There’s no inclusion of HDR or a 10-bit panel, either, although at this price that’s to be expected. The X24P1 isn’t perfect: it lacks a webcam, and brightness uniformity isn’t flawless. However, these are the only issues worth reiterating, which, given the price, is impressive. If you think you can live without the extra space afforded by the 16:10 aspect ratio, there are alternatives worth considering, such as the Philips Brilliance 241B7QPJKEB. 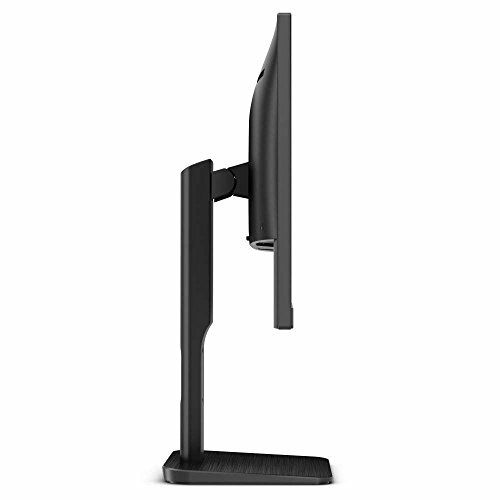 That also has a colour-accurate IPS monitor and a fully adjustable stand for the lower price, and you get a pop-up webcam. Philips’ monitor also wins out on peak brightness and colour gamut coverage, so it’s a competitive choice. 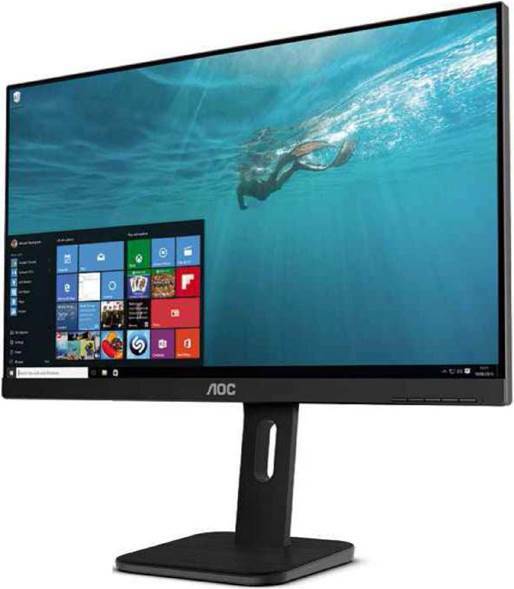 However, if you’re in the market specifically for a 16:10 monitor, the AOC X24P1 has all the right ingredients: it has an accurate IPS panel, excellent build quality and fair pricing. The 16:10 X24P1 is a great office monitor, thanks to its stand and accurate IPS panel.